1 of 23The Gîte Rural french windows entrance with terrace facing south towards the Pyrénées. No smoking in the property. Very well behaved dogs may be permitted by prior special arrangement. 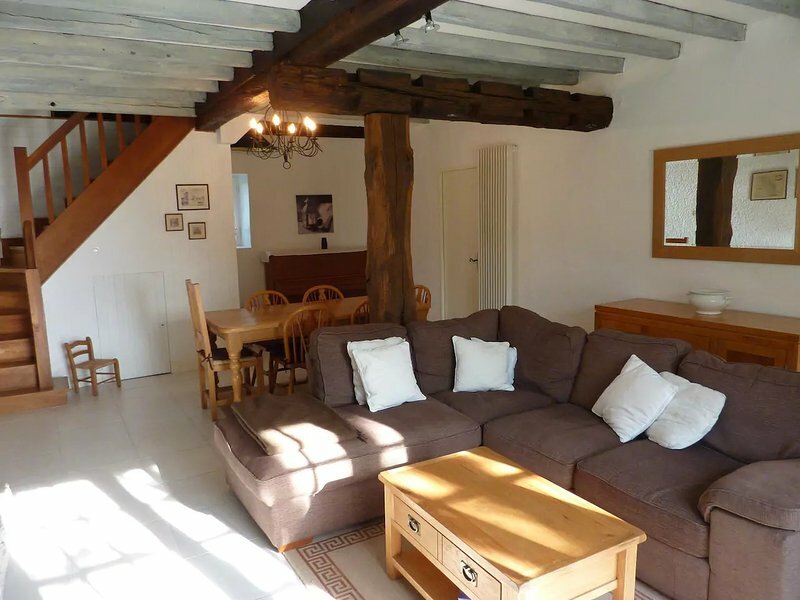 It is expected that you leave the gîte as clean and tidy as you found it. We live in La Touroune and we will be here to help you to enjoy your stay. An absolute gem! 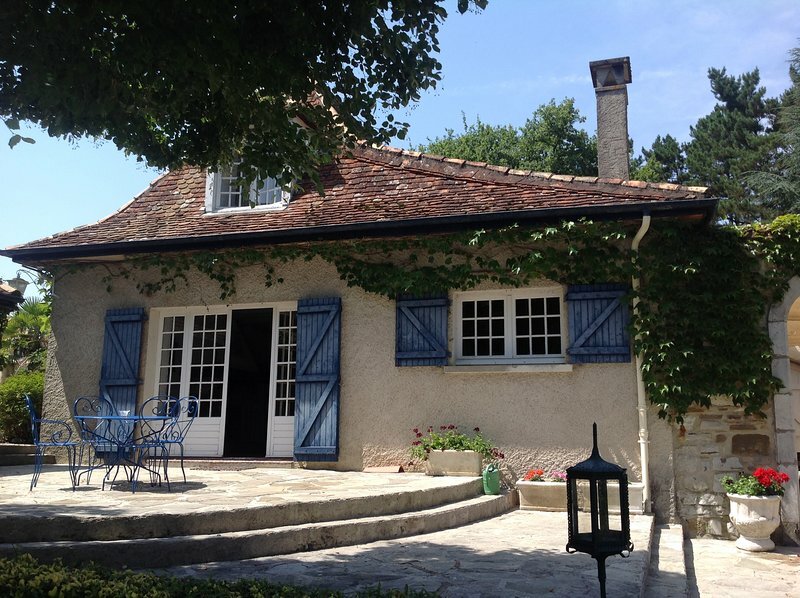 Beautiful family-friendly gite with pool and amazing views. Footpaths beside the house for walking and cycling. Just under one hour from the beach, the mountains and Spain. The rivers nearby have water sports. For winter sports various ski-resorts such as La Pierre Saint Martin are not far (1 hour 36 minutes from the Gite on google maps). The thermal baths in Salies de Bearn are famous for their spa treatment and cures using the local salt water. 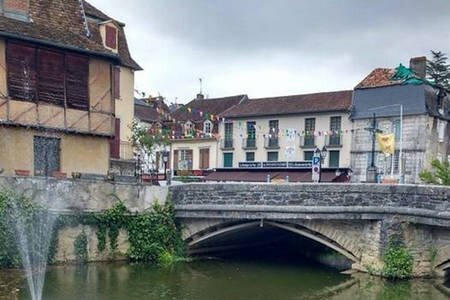 As we are on the top of a hill, you can embarque on an expedition and walk/cycle (50/15 minutes) downhill all the way to the village of Salies de Bearn, where you find bakery, restaurants, cinema, library, parks, swimming pool, squash court... bear in mind that the return will be up hill. Otherwise by car will take you only 8 to 10 minutes.